Who is a refugee? Who is entitled to asylum or another form of protection and may stay in Germany? And who is in Germany illegally and needs to return home? There is a lot of confusion between everyday language and the correct legal terms. There are four forms of protection that grant people a right to stay in Germany. Many migrants who have entered Germany irregularly in search for work and a better life are surprised to learn that none of these forms of protection apply to them and that they face a forced return to their country of origin and a travel ban for the future. Their hope was based on rumours. Here are the facts. In everyday language, the term refugee often describes anyone who has been displaced from home for any reason. However, of the hundreds of millions of people who live outside of their home country all over the world, only a minority actually holds refugee status. The United Nations defines refugees as people outside their home country who would face persecution or violence at home “for reasons of race, religion, nationality, membership of a particular social group or political opinion”. You might have heard that it is possible to apply for asylum as an “economic refugee” – however, there is no such legal category: economic hardship is not among the criteria that define a refugee. Under international and German law, people who leave their home country to improve their economic situation are not refugees. The refugee status was defined in the Refugee Convention signed in Geneva in 1951 so that these most vulnerable people receive protection. In Germany, as well as in all other countries that ratified the Refugee Convention, refugees are protected and must not be returned for as long as the threat of persecution in their country of origin exists. 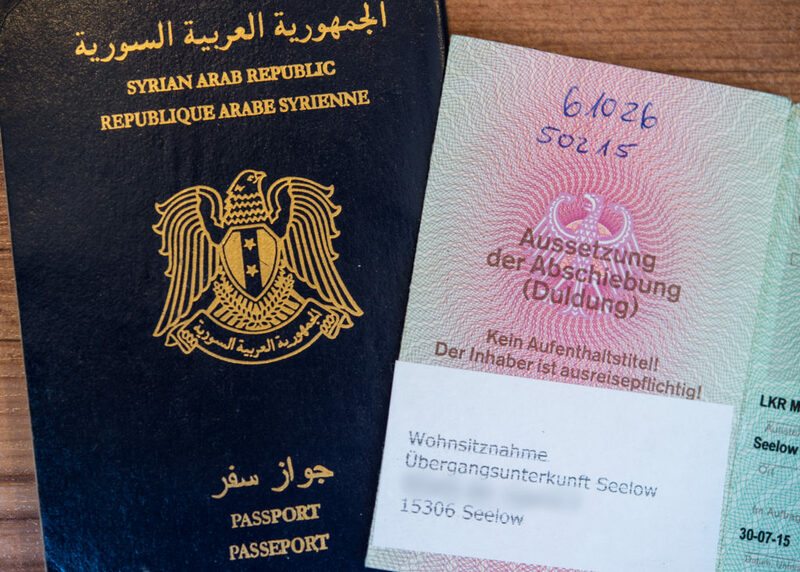 The German authorities grant refugees a residence permit for three years, after which they determine whether an extension should be granted. Asylum is another form of protection under German law that specifically applies to people who have been persecuted on political grounds. To be entitled to asylum, the applicants have to provide evidence that the state in their country of origin is persecuting them. In practice, this form of protection is very rare, but if it is granted, it provides a residence permit for three years, after which the protection status gets re-assessed. Asylum seekers who did not receive refugee protection or asylum can be granted the status of subsidiary protection. However, this is only granted when the person is threatened by serious harm in their country of origin, such as the death penalty, torture and inhuman punishment or if an international or domestic armed conflict makes a return to their country of origin impossible. 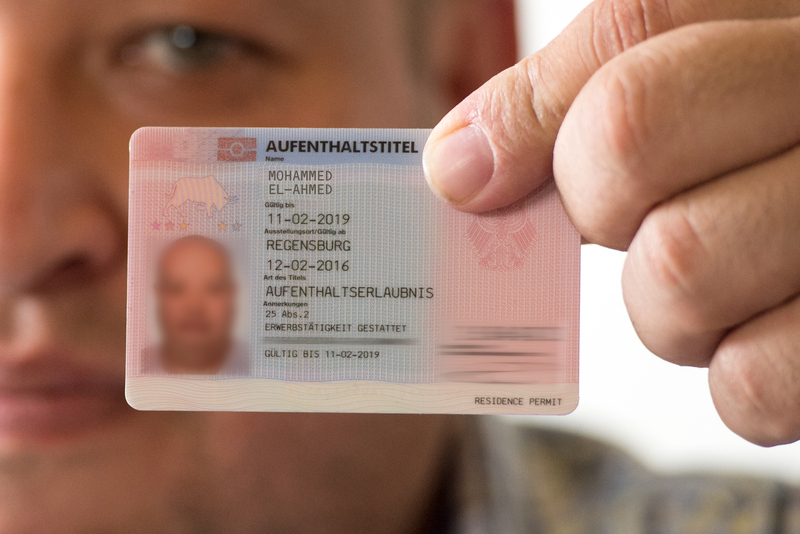 The status of subsidiary protection grants a residence permit for only one year, after which the German authorities determine whether an extension should be granted. The last form of protection also applies only in rare and specific circumstances. The German authorities sometimes grant a ban on forced return, meaning that the migrant may not be forcefully returned home even though none of the three other forms of protection apply. This is the case when the authorities are convinced that a return to the country of origin would constitute a breach of the European Convention for the Protection of Human Rights and Fundamental Freedoms (ECHR), or a substantial concrete danger to life, limb or liberty. The applicant receives a residence permit for one year, after which the ban on forced return is re-assessed. The bottom line is this: Only asylum seekers who receive one of these four forms of protection have a right to stay in Germany – all other irregular migrants reside in Germany illegally and need to return home immediately – either voluntarily or enforced by the police. Each decision is taken in a detailed procedure by the German Federal Office for Migration and Refugees (BAMF) and every application is assessed on an individual basis. These decisions take into account a detailed assessment of the country of origin: Protection is only granted if the threat of persecution or serious harm looms in all parts of the home country. If some regions of the country are safe, migrants will need to return there – protection will not be granted in Germany. Recently, the application process has become a lot quicker and the German government has tightened its asylum laws. For example, authorities now take additional measures to verify the identity of an applicant. One thing is for sure: People smugglers don’t care about the lives of migrants, only about their money. They have an interest in confusing you about the difference between refugees and migrants, and about the chances you have to receive protection under German asylum law. Don’t trust them. Many asylum seekers are not granted protection and need to return home after all – for them the cost and risks of the journey were in vain. Is it possible to buy a place on a resettlement programme? Within the context of the resettlement programme, Germany and other EU countries permanently take in refugees particularly in need of protection directly from their country of residence.